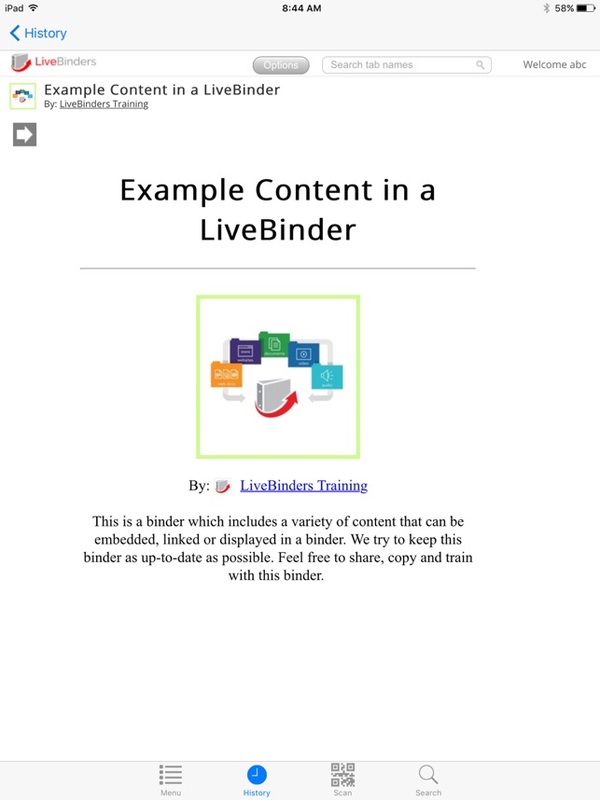 The LiveBinders App gives you quick access to all of the binders from your LiveBinders.com account. 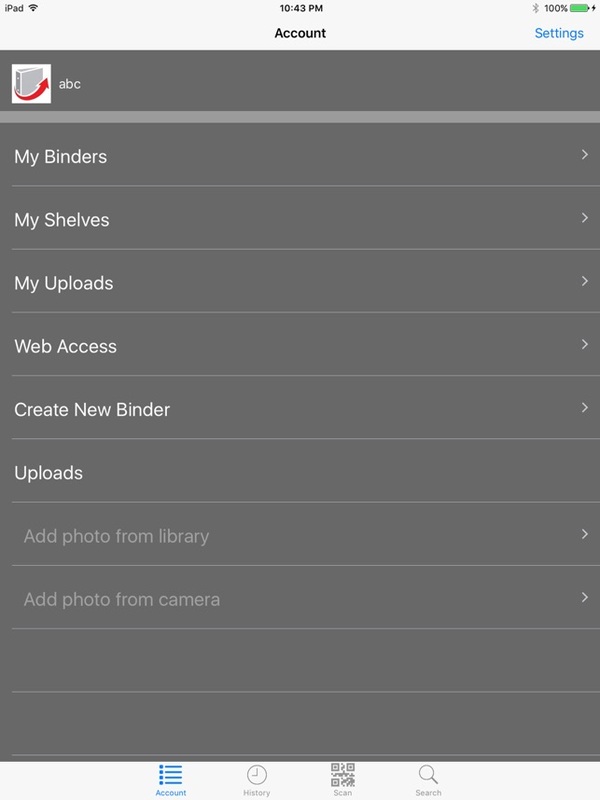 Add pictures from your iPad photo library or take pictures to add directly to your binder. 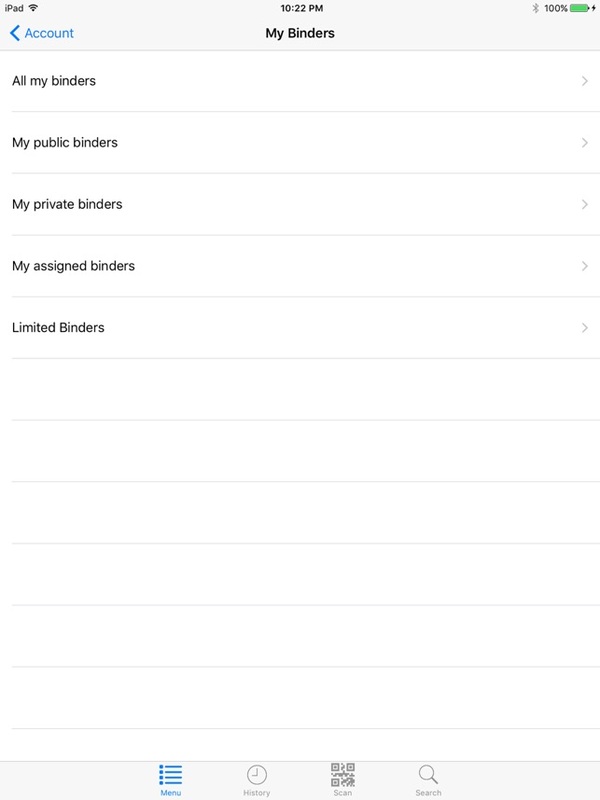 You can also view your custom shelves and create new binders from within the App. 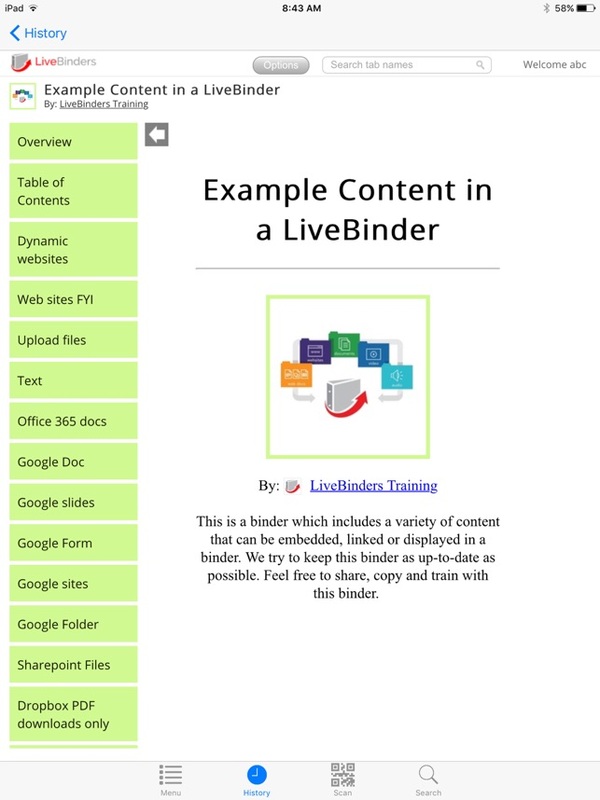 Make your content useful: LiveBinders lets you integrate a variety of Web content into virtual 3-Ring binders. Paste any link into binder tabs. Add and edit text to give your binders more context. 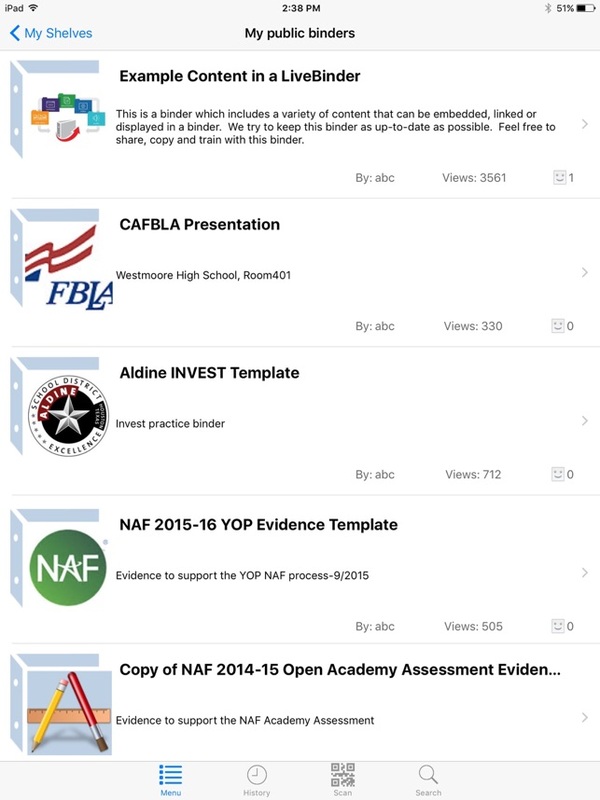 Create binders filled with information on any topic. Impress your colleagues, teachers, and clients with an elegant way to present your resources; binders can easily be updated and accessed from any location at any time. This release has a new menu UI. If you are looking to upload images from your image gallery look for "Uploads" on your menu option and choose "Add photo from library" or "Add photo from camera." You can search for public binders or your binders in your My Binders account using the Search box from the menu option at the bottom of screen. You can view previously viewed binders from the "History" page located from the menu option at the bottom of the screen. 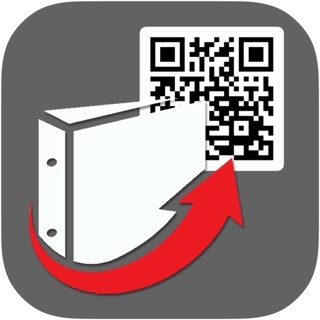 The scan icon from the menu option at the bottom of the screen lets you scan QR codes and add the linked file directly to the binder. The editing option of a binder has been temporarily disabled for this version. Shuts down anytime you try and do something within the app. Terrible. The idea behind this program and app is great, but there are bugs that haven't been fixed. This has been extremely inconvenient for my students. Typed information doesn't save, typed information won't appear on the screen, and a lot of the times the cursor won't move within a text box. There is a laundry list of other issues; I just listed the most important ones. 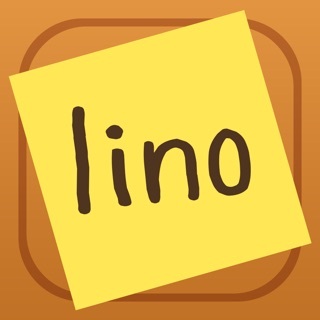 Save yourself the headache and find another app.